Classical patterning and vintage rugs are making a come-back with a beautiful, new distressed look. RC+D reveals the story behind this old-meets-new style. We’re all familiar with the distressed look in fashion – that worn-down, super soft denim look that feels lived-in and ultra comfortable. It’s no surprise that it’s filtered through to interiors in soft furnishings, such as rugs and carpets. 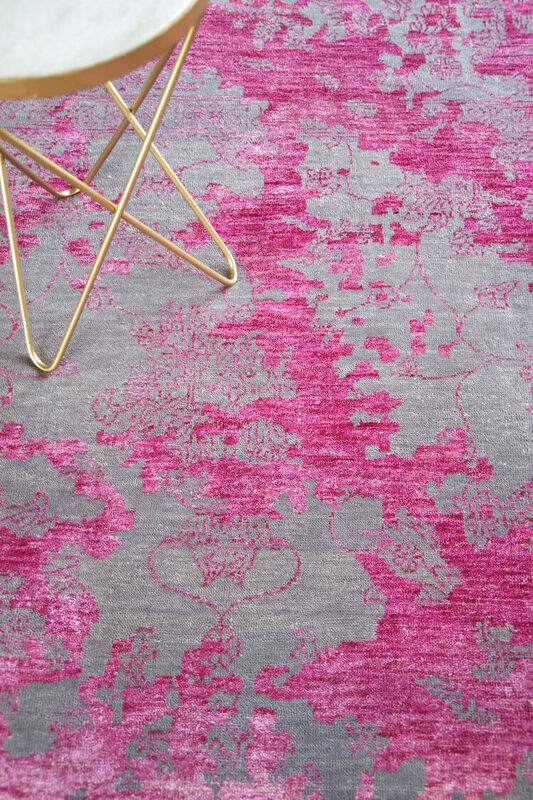 It brings new colour and antique authenticity to any interior design, building in popularity to the point that, what began as a traditional homage to antique rugs, is now an enduring trend in carpet design. The distressed look first originated through the revival of antique classical rugs. Not only was this an economical way to invest in a beautiful original rug but it was a smart way to recycle something old into new. Bringing original handmade classical rugs back from the brink, rug producers would source antique rugs from Turkey, Iran, Afghanistan and surrounding countries, celebrating the rugs’ traditional patterns – faded and worn with age – by applying a modern twist of distressed patterning and trending colour tones. Often valuable and beautifully aged, each carpet would be skillfully distressed to carry a completely unique combination of traditional pattern, treated with contemporary colour combinations and carefully applied distressed patterning. 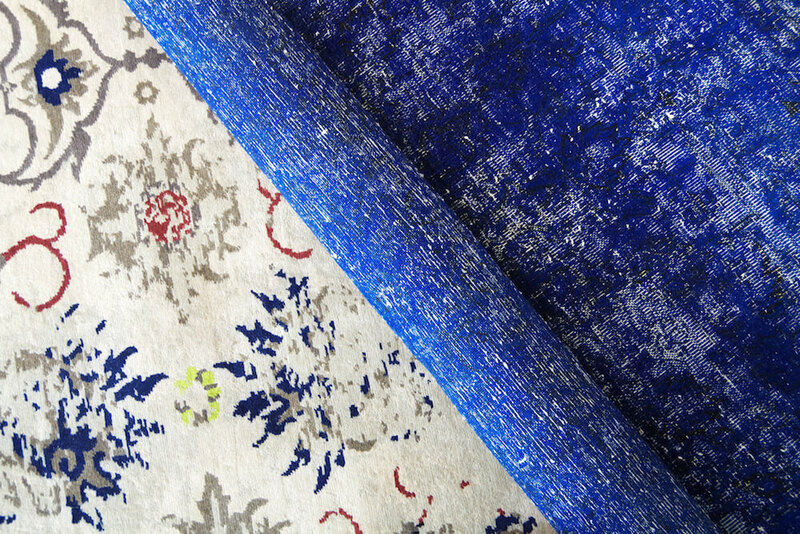 Nowadays the distressed look is so popular that rug and carpet producers are designing distressed patterns from scratch. Classic patterning is carefully crafted and coloured to achieve that fresh-meets-faded aesthetic. 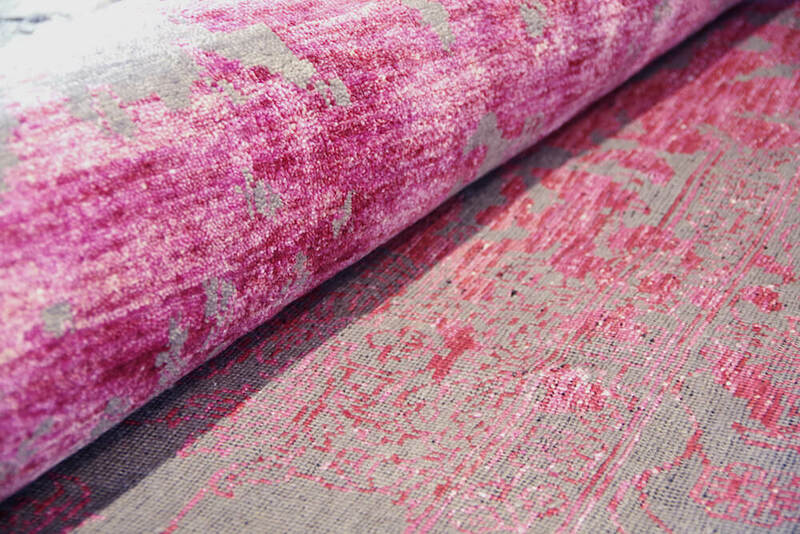 The result is a complete one-off, dynamic, character-filled rug design that exudes a soft sheen – thanks to fibres of viscose, silk and linen often used when creating the distressed look. Perfect for summer and a great way to bring quality finish and beautiful style into an interior space.